You can’t help but notice: of the top 10 highest grossing movies in each of the last 10 years, an alarming 74 out 100 are adaptations of existing material: comic books, books, video games, sequels, reboots, et al. 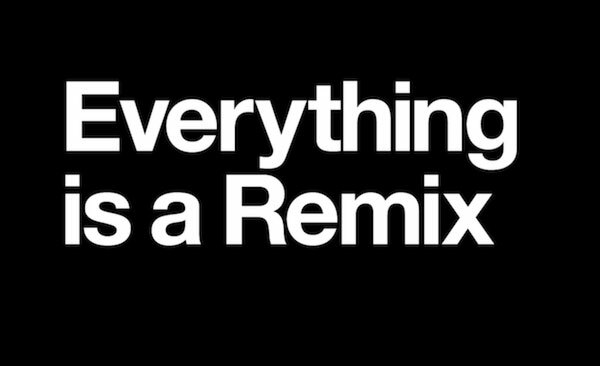 Everything Is a Remix is a 4-part series exploring the remix techniques involved in producing such films. In the episode below, Part Two, creator Kirby Ferguson does an excellent job of analyzing many films and film-makers practicing outright thievery or clever tribute, such as the Master of the Film Mashup Quentin Tarantino. Or deconstructing the most popular sci-fi franchise of all time and comparing it to Flash Gordon and Akira Kurasawa’s masterpiece Hidden Fortress. A nice 10-minute short for any film fan or curious cultural critic. If you feel like supporting the series, visit Everything Is a Remix and donate some money to keep Ferguson’s series running. « Quentin Tarantino Battles the Coen Brothers In an Art Show Duel To the Death!